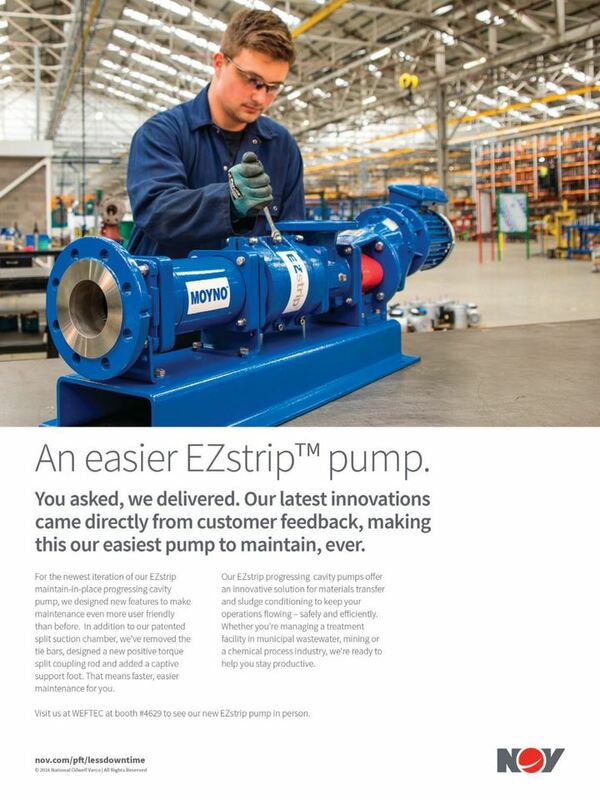 Progressing Cavity Pump – Moyno EZstrip Sludge Pump | JCI Industries Inc.
Moyno’s EZstrip™ line is an innovate, cost-effective solution that can revolutionize the way progressive cavity pumps are maintained in-place. In addition to our patented split suction chamber, we’ve removed the tie bars, designed a new positive torque split coupling rod and added a captive support foot. That means faster, easier maintenance for you without sacrificing any pumping performance. Direct access to the wear parts and rotating assemblies, including full removal of the drive train, with no electrical disconnection required! Full removal of the drive train in minutes. No need to remove pump from Suction or Discharge connection for changing wear parts, rotor or stator. Pre-assembled drive train available with 2-year warranty to allow faster reassembly time. Other features include: an available pre-assembled drive train, suction and discharge ports that remain connected to the pipework, and stainless steel cast components and fasteners for corrosion resistance. chemicals and detergents, starch slurries, coating clays, gypsum, paper stocks, and agricultural slurries. A EZStrip cake pump and Channel Grinder are also available. Click the following to view the Moyno EZstrip Brochure. Please contact JCI industries, Inc. to get a quote or learn more. 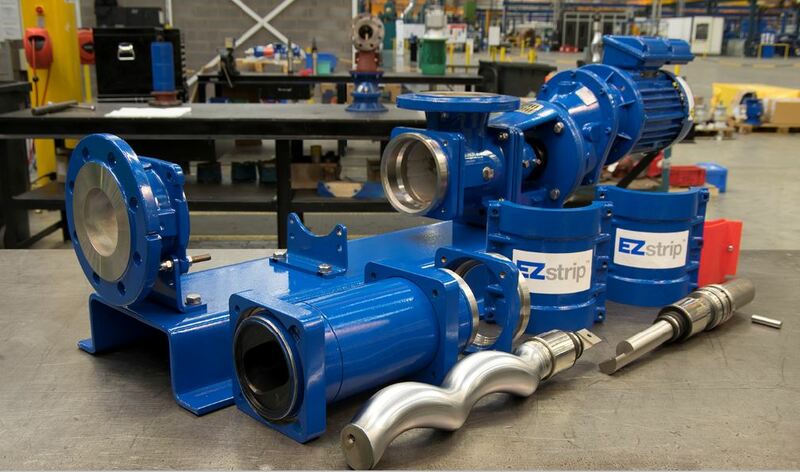 The EZstrip™ Cake Pump features a specially designed feed chamber that can easily be disconnected allowing access to the rotating assembly. The rotor can be separated from the conveyor allowing removal of the rotor and stator all within its own assembled length. This process can take as little as 6 minutes! See JCI News for participant on NOV-Moyno’s Distributor Advisory Meeting at Greengate 340,000 sq ft Manufacturing Facility in Manchester-UK.